Total price – Single N$ 6445 – Sharing (2 people) N$ 10960. Includes all meals, entry fees into the National Parks, additional 4X4 transport to Sandwich Harbour, and full board at the hotels. 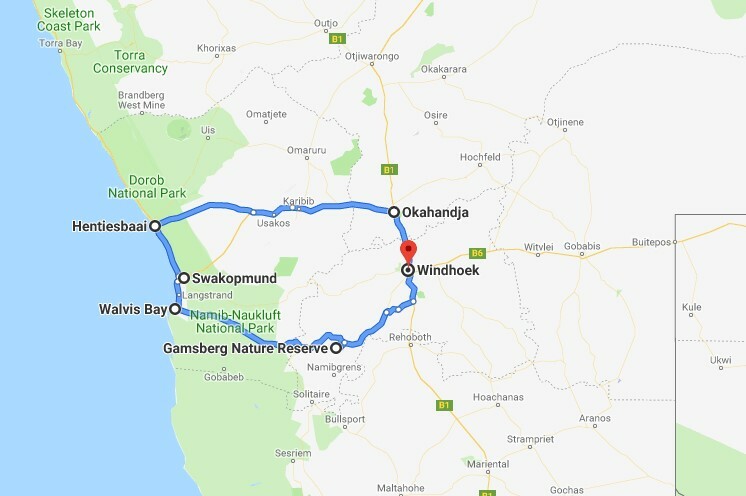 From the Windhoek Country Club Hotel we begin in a northerly direction to the small town of Okahandja where we will take a short stop to look at the NamWater water treatment plant for Windhoek and part of the Central areas. From there in a westerly direction we will drive towards the rocky Namib arriving at the small coastal town of Henties Bay. There we will be taken by NamWater staff to visit the Omaruru River Delta water supply scheme that supplies much of the coast with fresh water. Thereafter we will depart for Swakopmund with a quick stopover at the coastal desalination plant. We will overnight for both nights at the Europahof hotel. Early on Friday morning we will depart for Walvis Bay and visit the NamWater operated Kuiseb coastal water supply scheme. Thereafter we will be collected by 4X4 cars that will take us over part of the Namib dune field to the Ramsar site of Sandwich Harbour where fresh water from the Kuiseb flows into the sea from under the dunes. Early the next morning we will return to Windhoek, via the scenic Gamsberg pass through that part of the Namib. We should be back in Windhoek during the early afternoon of Saturday the 27 July.